ticular points of advice for running in London: remember to LOOK LEFT when crossing the street; pack for chilly, wet weather running; bring reflective gear for those shorter winter days. 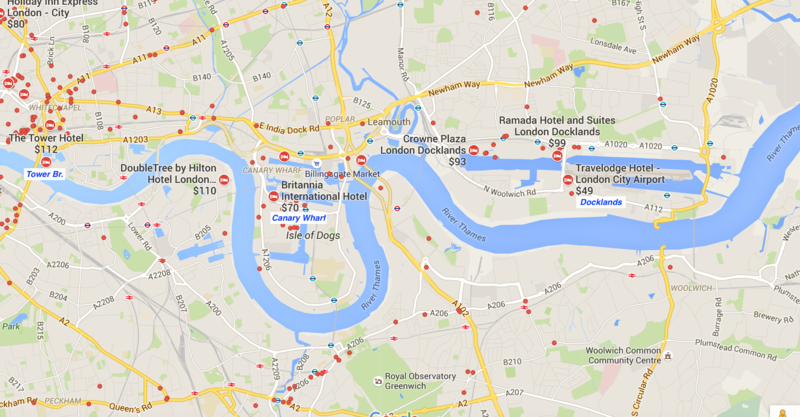 Since London is so big, we’ve developed a separate post grouping London runs by neighborhood. 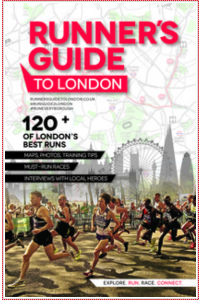 A wonderful additional resource for in-depth running info for London is this book, A Runners Guide to London. Our thanks to Hayden Shearman for his help with some of our London routes. London is huge. Use this as a guide to find the best routes by area. Of course, London's excellent transport ensures that a great London run is but a tube or light rail run away! 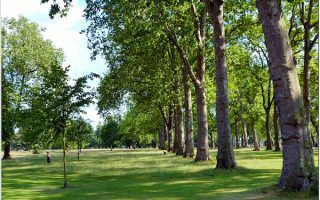 An overview of the running highlights of London's famous central Royal parks: Kensington Gardens, Hyde Park, Green Park, and St. James Park. Create your own route along interior paths, grand Malls, royal sights, pastoral ponds, large fields. One of the great urban runs in the world, this route incorporates London’s famous central Royal parks: Kensington Gardens, Hyde Park, Green Park, and St. James Park. It is a way-marked ‘figure eight” loop, in honor of the late Princess Diana. 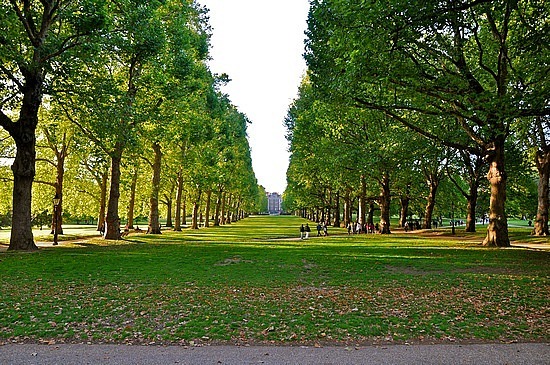 Regent’s Park, at 395 acres, is one of the Royal Parks in north west London, straddling the Westminster/Camden areas. 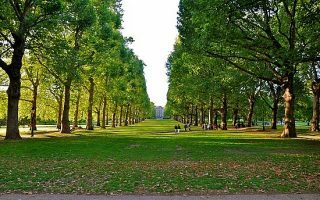 Lovely park with grand paths, large athletic fields, Queen's Gardens. 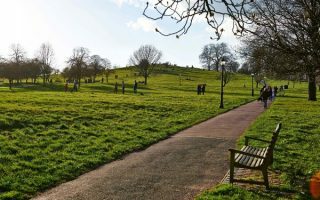 Primrose Hill, across the way has great views. 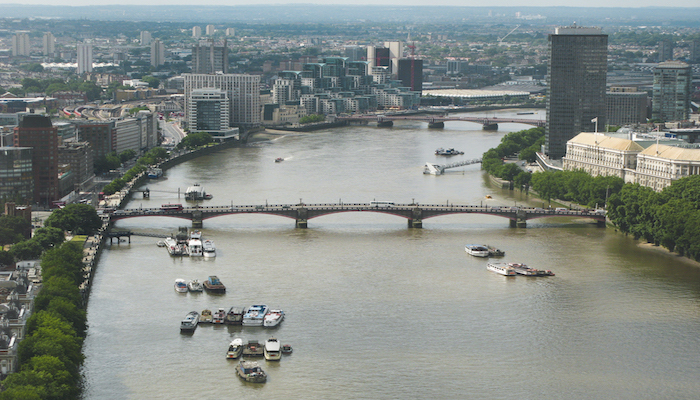 Running along the Thames River embankment is one of the running/tourist treats of London. A great way to see some of the sights, with the main bridges close together. A 14-mile run/walk tour of some of London’s highlights. Do it in segments. 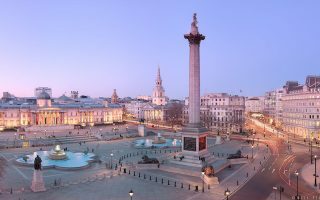 You’ll run past palaces, the UK’s most expensive street, iconic theatres, department stores, and the riverside vistas of Chelsea and Fulham. Docklands/Canary Wharf is a major area of office buildings and residential high-rises. There's a nice ~5 mile path around the perimeter. Also good running around the ExCel Center and from the O2 to Greenwhich Park. A good exploration of London’s eastern end. There are three main “sites”: pathways along the several canals; a jaunt by the area built for the 2012 summer Olympics, and a run into Victoria Park. A wonderful and hilly running area in the affluent Hampstead residential area. The historic heath is a great collection of views and landscapes, part open and part wooded. Great for hill training. We've included 3 trail options. 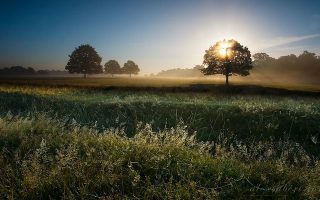 The largest of London’s eight Royal Parks, Richmond Park is 8 miles west of London and accessible by train. 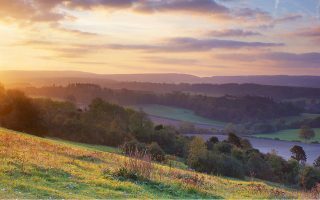 It has a more rural feel, with landscaped hills & gardens, woods, grasslands, and a great view of the Thames. 7 mile perimeter path & more options. 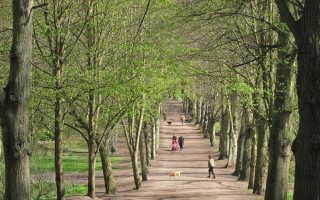 The second largest of London’s eight Royal Parks, 10 miles west of the city. Our 6-mile ‘perimeter’ route is a mixture of woods, gardens, ponds and grassland. 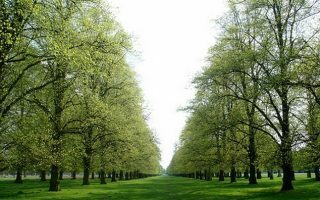 Highlights include ‘Chestnut Avenue’, and the Diana Fountain. Our suggestions for the area near Heathrow: Moors (at the airport); Staines-upon-Thames; Hounslow Heath; Windsor; Richmond Park. South of London, two highlights are Surrey Hills, a 163 sq. mile designated “Area of Natural Beauty”, dotted by hills, fields, vineyards, and quiet roads. A true destination run. The High Weald, is a medieval landscape of hills, fields, and farmsteads. Looking for some fun and friendly competition? 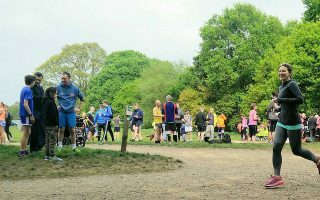 London hosts a selection of Parkruns throughout the city. Everyone knows about the London weather. There can be long stretches of damp and overcast. In summer it can be warm, but it is rarely hot. It is humid, however. Winters are dark and chilly but there’s rarely snow — sort of like Seattle or Vancouver. 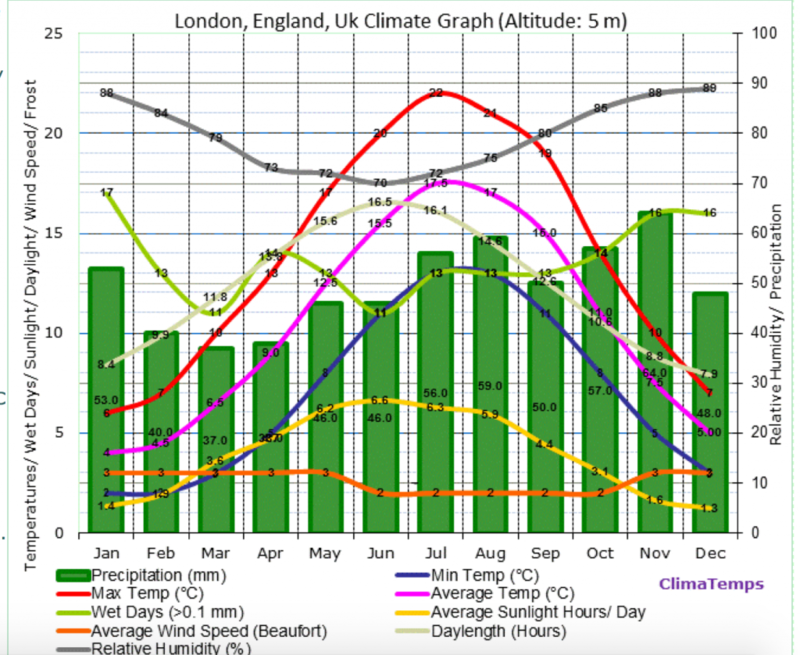 Note that winter days are short, averaging only 8 daylight hours. Conversely, there are lovely, long summer days when the sun sets past 10pm. 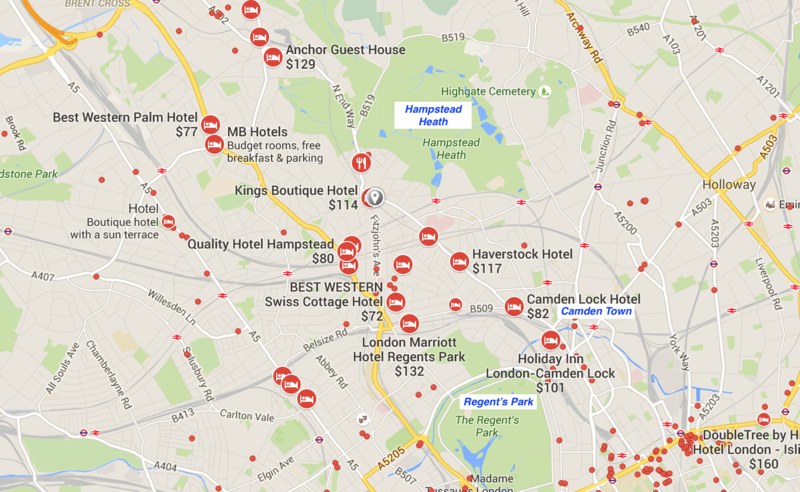 London is huge and there’s a vast selection of hotels. 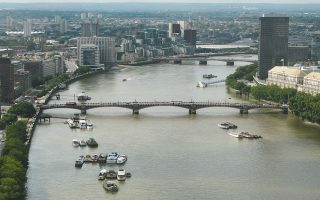 The central part of London is bound by the A320 to the west (Chelsea, Kensington), the A100/Tower Bridge to the east, the A501 to the north, and the Thames to the south. My recommendation is to stay close to one of the four major parks, perhaps using Hyde Park as an anchor. The poshest hotels are in Mayfair, just east of Hyde Park. 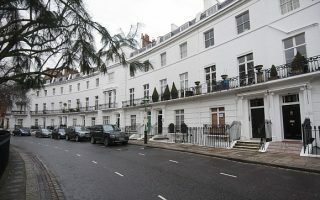 South of Hyde Park (Knightsbridge, Chelsea, Kensington) is a little more residential, with good access to the Thames. 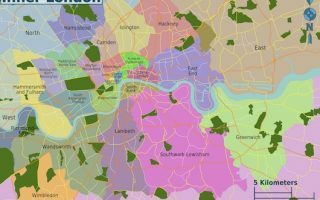 There are good and slightly more affordable options north of Hyde Park in the Bayswater & Paddington areas, and even more so just north of there, in Camden & Hampstead (grear running in Hampstead Heath). 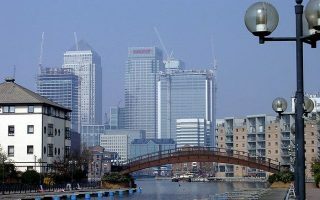 Business travelers might end up at an office/hotel/conference in the Docklands/Canary Wharf area in the southeast part of the city, has been developed over the past 20 years. 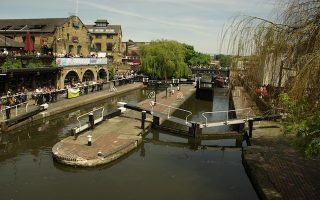 There are some good waterside running options there but it’s a light rail ride away from central London. There is a good number of running stores in central London, as well as Canary Wharf/Docklands, and up north in Camden/Hampstead. Runners Need is the largest chain, with 10+ locations in the area. MAP of locations for all the major running stores. The Green icons are the Runners Need locations. Click on the icons for address, & directions. Group Runs. The starred icons on the map are stores with group runs. Click on the icon for more info. 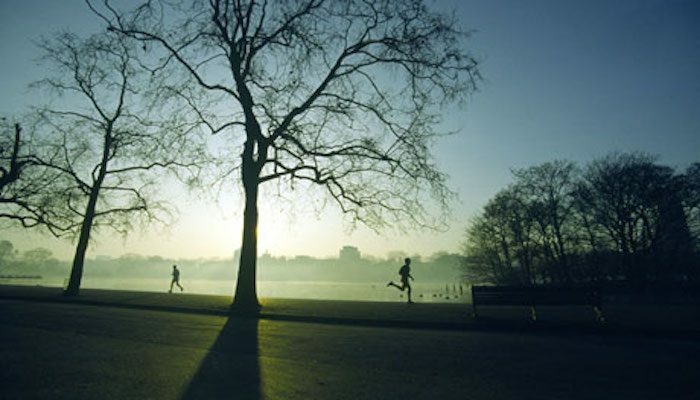 The Runners Need stores in the Docklands and Canary Wharf have lunchtime group runs! London Marathon. Late April. One of the ‘biggies’ alongside Boston, New York, Chicago, and Berlin. Hard to get into. 38k runners. Royal Parks Half Marathon. October. Gorgeous city run through the major parks. Bath Half. One of England’s most popular halfs. The British 10k. July. Central London. 20,000 runners. Parkrun. Apparently there’s a worldwide movement to do 5k park runs on Saturday morning. Great way to start a weekend — there are 35 each Saturday in London! so there’s bound to be one near you!